Scary news if you use any kind of skin-care products: The California Department of Public Health released a public health alert last week after multiple cases of inorganic mercury poisoning were linked to skin creams purchased in Mexico. According to the health alert, several women and children (including a 20-month-old baby) were exposed to mercury contained in creams designed to to lighten the skin, fade freckles and age spots, and even treat acne. Some of these creams contained up to a staggering 200,000 times the legal amount of mercury in the United States. Several other states, including Minnesota and Maryland, have issued similar warnings after recent cases of mercury poisoning from skin creams were reported, as well. What makes mercury poisoning from beauty products so scary? Many of the symptoms are non-specific and difficult to identify. They can include irritability, depression, difficulty concentrating, insomnia, numbness and tingling in the extremities, and tremors. According to the FDA, exposure to mercury can have serious health consequences, including damage to the kidneys and nervous system—and it can impact the brain development of young children. Even worse, if these products are used over time, the mercury in them can be slowly released as airborne mercury vapor, which can contaminate entire households and affect children and family members—even if they've never used the contaminated product themselves. Some of the babies affected were exposed to mercury during breastfeeding. Horrifying! It's important to note that the kind of inorganic mercury found in cosmetics is different from the organic mercury found in seafood. Both types of mercury affect the nervous system, however, and can have serious health consequences. 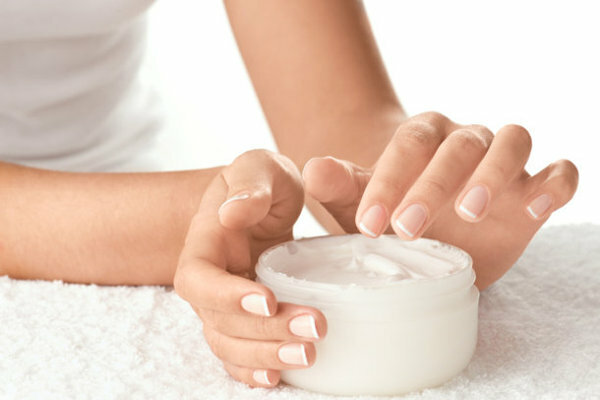 Both the FDA and the California Department of Public Health strongly advise against purchasing non-commercial skin creams in unlabeled containers that do not list ingredients. Federal law in the U.S. requires that ingredients be listed on the label of any cosmetic or drug. Mercury has been found in several foreign skin-lightening creams, including ones from Mexico, other countries in Latin America, India, and China—so be extracautious when buying foreign skincare products. Always check the ingredients on your beauty products, and stay away from anything containing the following ingredients: mercury, mercurous chloride, calomel, mercuric, and mercurio. Many of the contaminated skin-lightening creams from California turned dark gray/green when exposed to light, so that may also be a red flag. If you suspect any exposure to mercury, immediately discontinue use of the product, and seek medical attention. A urine test is necessary to determine abnormal presence of mercury in your system, with subsequent tests required to rule out contamination or continued use of mercury-containing products. Discard any products suspected of containing mercury in a sealed plastic bag or leak-proof container, and check with local environmental health offices for proper waste disposal practices. You should also contact the Poison Center at 1-800-222-1222 if you suspect you've come into contact with mercury.